Every stage of the business cycle has its challenges. 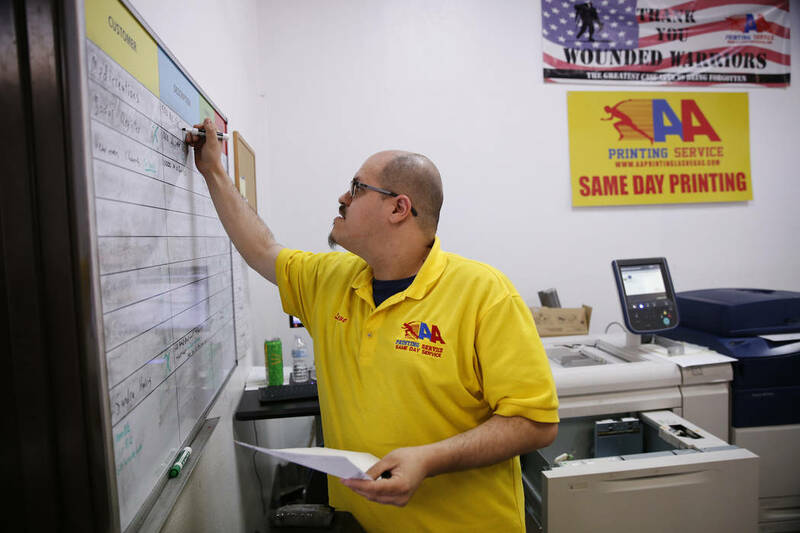 A decade ago, Nevada workers struggled to find jobs as the economy tanked. Today, Nevada companies worry they won’t be able to find qualified employees as the economy booms. There’s little doubt Nevada’s dismal educational system contributes to this dearth of qualified applicants. More than two-thirds of Clark County’s fourth- and eighth-graders fail to meet proficiency standards in math and reading. Meanwhile, more than 55 percent of 2015 Clark County School District graduates who attended a Nevada System of Higher Education institution were forced into remedial courses. Obviously, a Nevada high school diploma doesn’t signify a student is prepared for college. Many business interests complain that local graduates aren’t equipped for the workplace. What’s the answer? First, lawmakers should stop lowering the bar. The Legislature in 2013 eliminated the high school proficiency exam — which tested students on freshman-level material — as a requirement for graduation. Four years later, lawmakers nixed the end-of-course exams that replaced the proficiency test. Handing out more diplomas may make the adults involved in the system look good. They can take credit for increasing the graduation rate. But it’s a disservice to students. Graduates who are high achievers now have a piece of paper whose value has been degraded. And what does it tell an employer when a young job prospect armed with his diploma can’t handle simple computations? Lowering or eliminating standards or expectations sets students up for failure and undermines the incentives necessary for achievement. Standards help raise performance. Telling students they didn’t meet the benchmark gives them a chance to learn and get it right. Real self-confidence comes from overcoming obstacles, not from having politicians pull those hurdles away until you’re stuck looking at jobs for which you’re unqualified. The fact that many students leave the system wholly unprepared to find productive work is also a good argument for school choice. Providing parents with more educational alternatives will not only boost outcomes but will also exert pressure on traditional public schools to improve. There’s no shortcut to creating qualified workers. But ensuring a high school diploma means something is a good place to start.